"Chicken wings are egged and fried in butter, then baked in a tangy sauce of soy sauce, water, sugar, vinegar, garlic powder and salt. Delicious, sticky chicken wings!" See how to make tangy, sticky, delicious 5-star chicken wings. Great recipe! 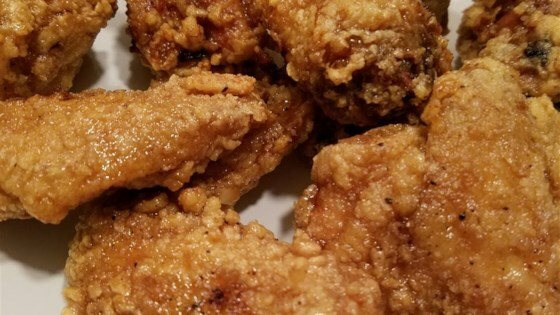 i fried them because that's how wings should be done! If people want something healthier, than type salad in the search bar!